School treats are a cinch this year! Just whip up a batch of these Halloween monster munch Goodie Bags with printable toppers and the kids will love you! Can you believe that summer is coming to an end? We’re already discussing Halloween costumes here, and I’m longing for the days when Monsters Inc was my oldest’s favorite thing to watch, instead of Monster High. At least I know my kids aren’t too old to enjoy a fun popcorn mix. All three of our kids love popcorn. And I love how easy it is to adapt. It’s one of our favorite treats to make for family movie night…and we pretty much always mix in a few extra special treats. It was time to make a version just for Halloween! 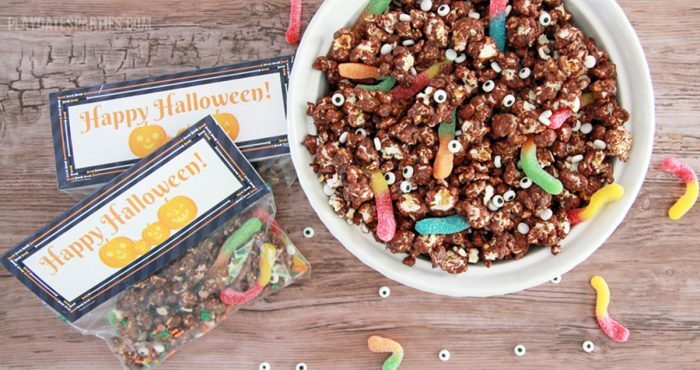 Inspired by years of watching Monsters Inc. this chocolate covered popcorn is filled with google-eye candy and sour gummy worms. 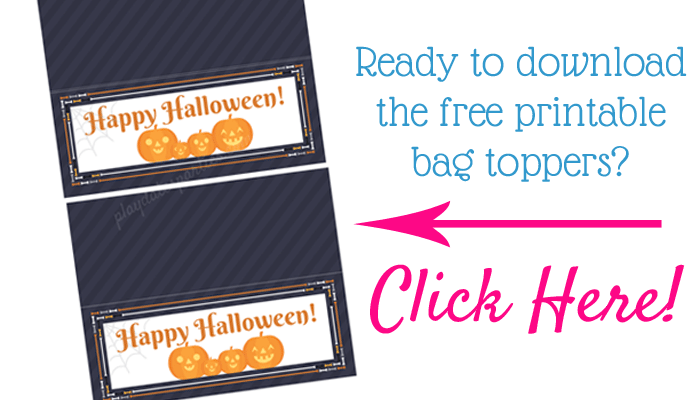 Add the cute bag topper I made just for you and you’ve got the perfect Halloween party treat! Place chocolate chips in a microwaveable bowl. Melt in the microwave in 10 second intervals stirring with a fork between intervals. When chocolate is completely melted and smooth, gently stir in popcorn until evenly covered. Sprinkle google eye candy and place in refrigerator to firm up. 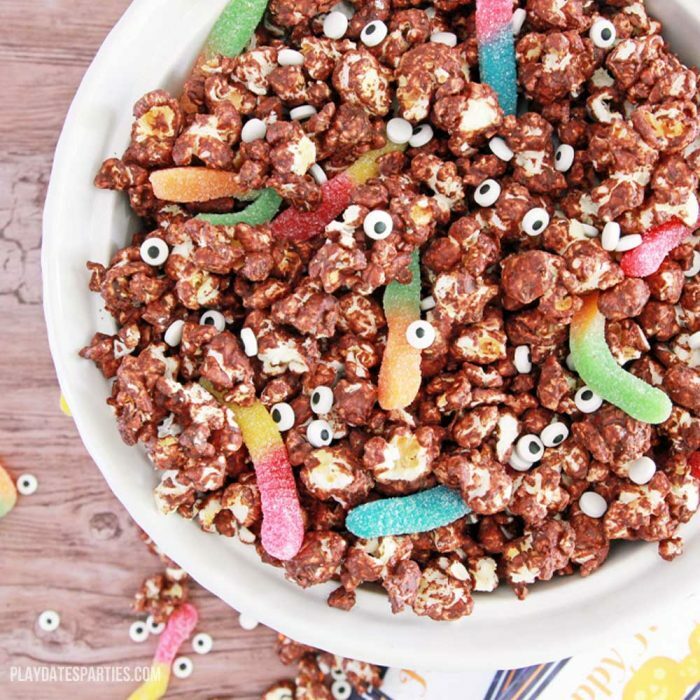 After about 30 minutes, when chocolate is firm, remove popcorn from refrigerator and add in sour gummy worms. Best served immediately. So, I might not make it again to keep around the house, but would absolutely make it as Halloween party favors, or as gifts to school classmates. 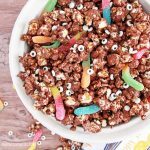 Grab the free printable bag toppers and whip up a batch of chocolate covered monster munch popcorn mix. Your little monsters are going to love it! Thanks so much for stopping by Angie! My girls were asking for more of the popcorn mix for weeks after it was gone, so it was definitely a hit. Thanks so much for hosting a fun link party! 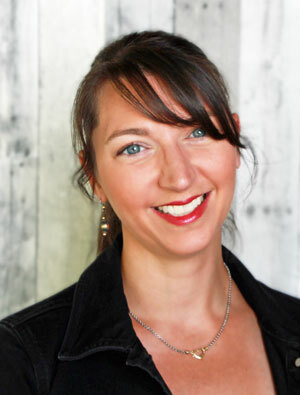 Stopping by from Tuesday Talk! My kids would love this mix. Thank you for sharing! We’re open and growing all week. Thanks for stopping by Jodie! I’ll definitely check it out! Hahaha! I had to enforce reasonable portions on my kids. And they’re still asking for more. Thanks so much for stopping by! 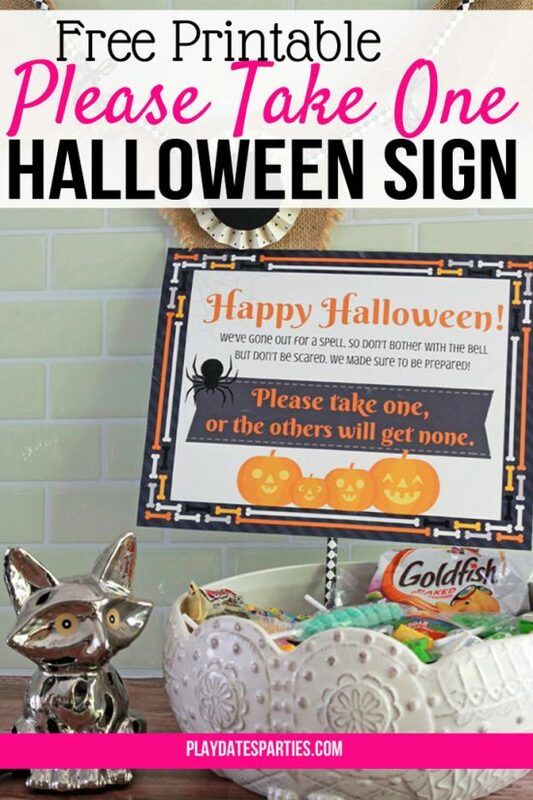 This is so easy to make and will definitely be fun for the kids. Thanks for sharing with us at #BloggersPitStop and have a great week! Oh, what a fun treat! The eyeballs are so cute! Thank you for sharing on Merry Monday! Hope to see ya next week! Cheddar popcorn? I don’t think we have that over here but I can see that this would be a fun and tasty idea for Halloween. Thanks for bringing it over to Fiesta Friday! The monster munch looks so fun. Kids would love it!! Thanks for sharing with SYC. Thanks so much for sharing with us at Full Plate Thursday, your post is awesome. Hope you are having a great week and come back to see us soon! Lovely share! Thanks for bringing this to Fiesta Friday!